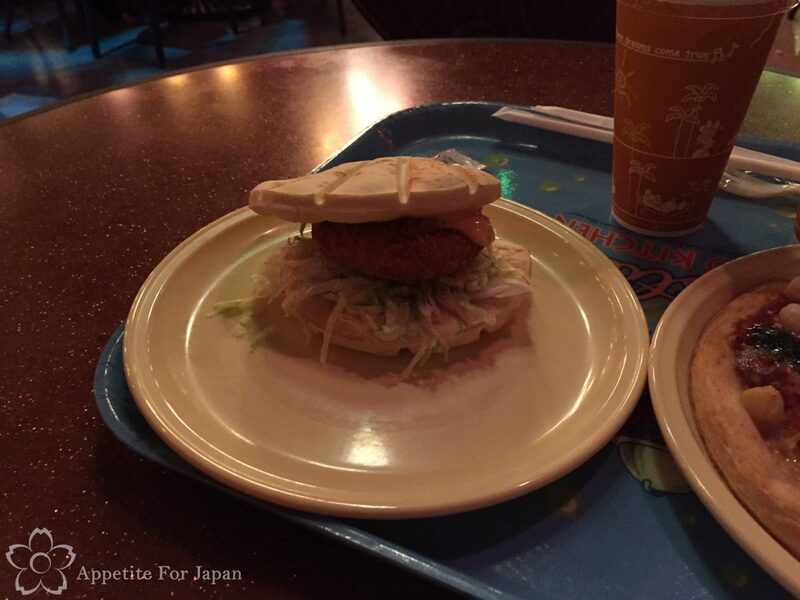 Sebastian’s Calypso Kitchen at Tokyo DisneySea is one of 16 counter service restaurants at Tokyo DisneySea. If you’re a fan of The Little Mermaid or you’re just after a great value seafood pizza or kawaii claim-shaped sandwich, read on! Sebastian’s Calypso Kitchen is what I would describe as a food court with one counter-service restaurant. 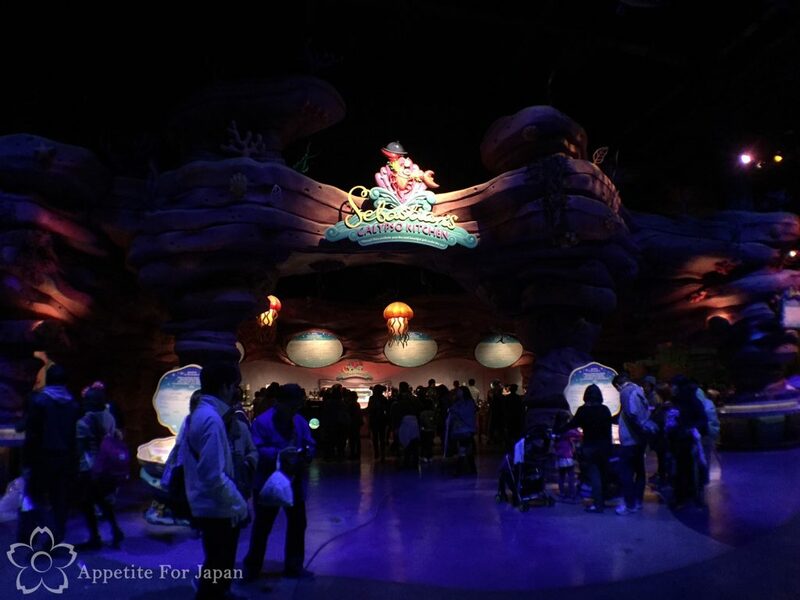 It’s located inside Mermaid Lagoon (the Little Mermaid area) which is one of the most beautiful parts of Tokyo DisneySea. Hundreds of fish hang from the ceiling, along with coloured fish lights. Columns are covered in gold shells, Little Mermaid murals cover the walls, and even the back of the seats are shaped like clams. It’s fairly dark in there, so my photos don’t do it justice. 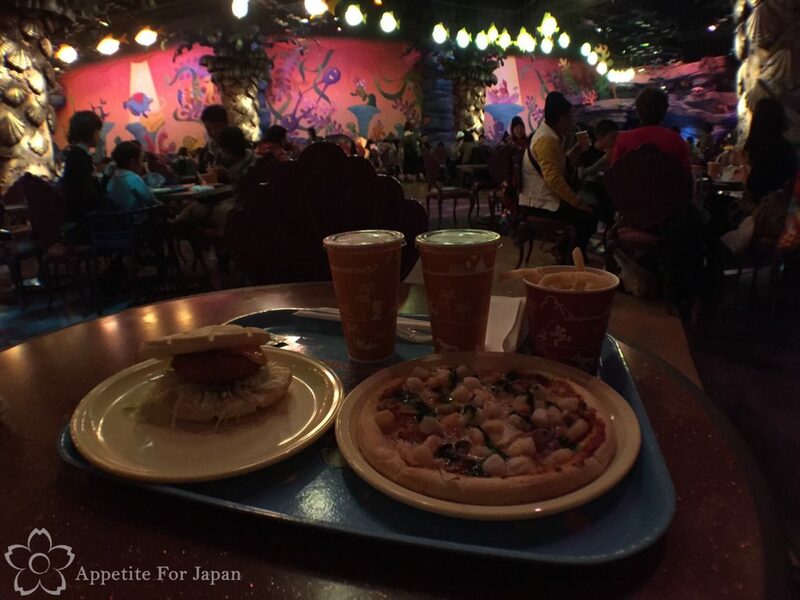 Like most of the counter-service restaurants at Tokyo Disney Resort, Sebastian’s Calypso Kitchen only has a small range of meals and snacks, but they’re surprisingly good. With a Little Mermaid theme, most of the food available here is seafood related (although they do have a couple of other options). Above: My partner ordered the scallop creme croquette sandwich. It’s available on its own for 550 Yen, or as a set with chips (fries, for my American readers) and a drink for 930. He ordered the set and really enjoyed it. My partner is a big fan of croquettes in general, and this sandwich exceeded his expectations. Above: I had the seafood pizza which I had been wanting to try for a while. 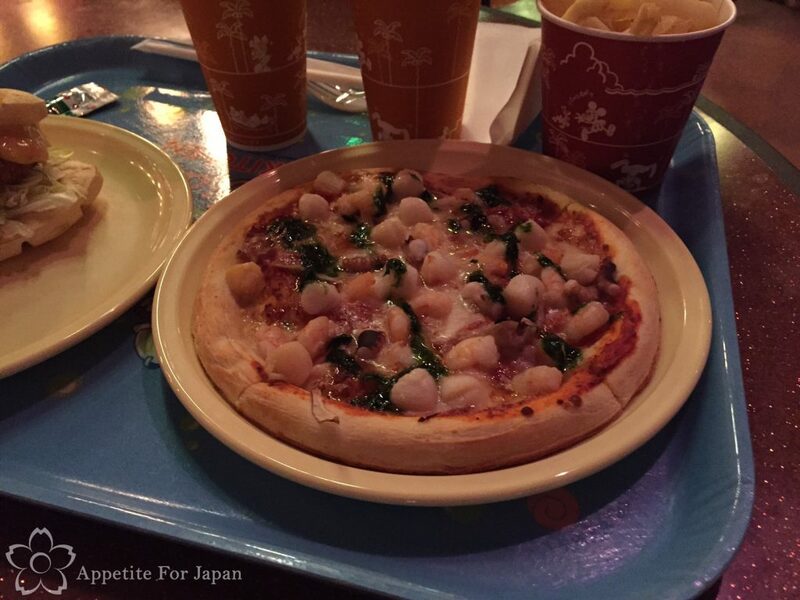 I’ve had the delicious seafood pizza at Ristorante di Canaletto (one of the fantastic but expensive table-service restaurants, also in Tokyo DisneySea) twice, and I was interested in finding out how the 700 Yen version at Sebastian’s Calypso Kitchen compared. At just over 1/3 of the price, I wasn’t expecting the budget seafood pizza to be quite as good, but I was very pleasantly surprised. Sebastian’s Calypso Kitchen’s seafood pizza is actually really good! It had plenty of scallops, mini prawns and baby octopus. If you want a tasty seafood pizza without the price tag, this is it! Sebastian’s Calypso Kitchen is inside Mermaid Lagoon. 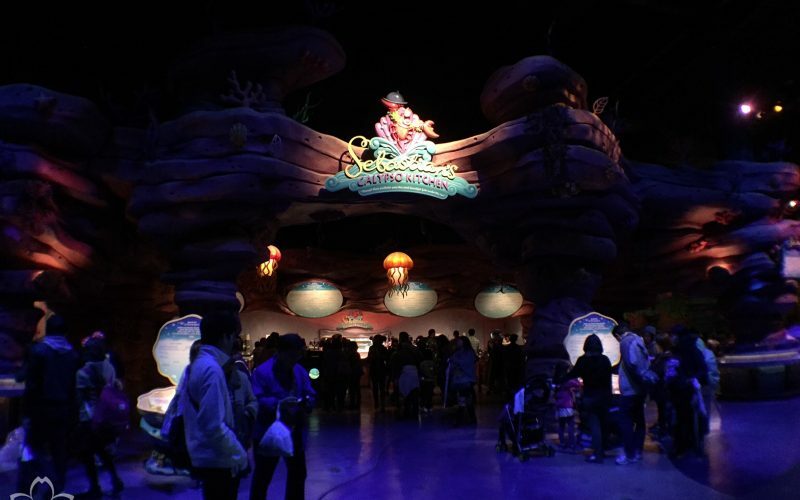 There are a couple of entrances to Ariel’s beautiful grotto – it doesn’t matter which entrance you take, as you’ll find the restaurant as you walk through. Would I recommend Sebastian’s Calypso Kitchen? 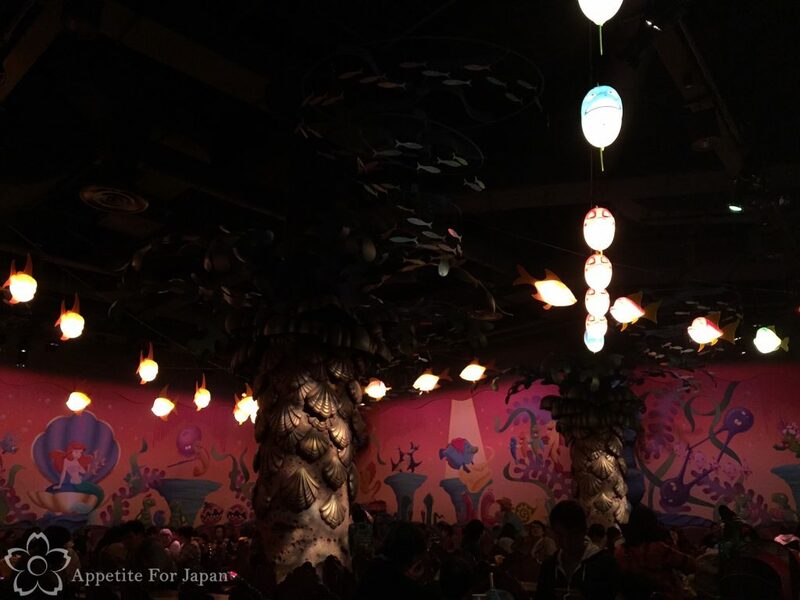 If you’re looking for a beautifully themed area to eat at Tokyo DisneySea and you’re in the mood for seafood without breaking the bank, I would definitely recommend Sebastian’s Calypso Kitchen. It’s one of my favourite counter-service restaurants at Tokyo Disney Resort. They also tend to have seasonal special sets that come with souvenirs, which will be of interest to some people. Sebastian’s Calypso kitchen gets very crowded at meal times, so if you want to ensure that you can easily get a table, my recommendation is that you aim to eat there either before or after lunch time or dinner time.